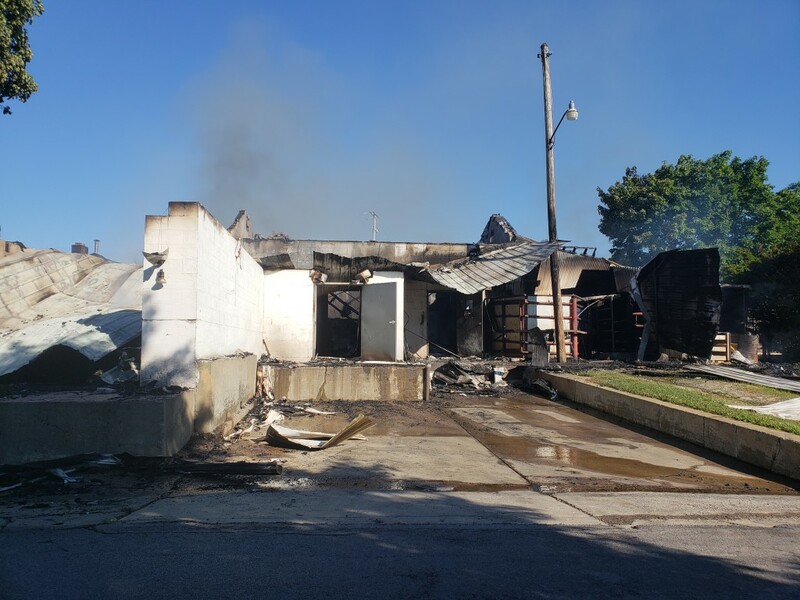 KOSSUTH, Pa. – Owner Dave Hirsch says the slaughterhouse at Hirsch’s Meat Market in Ashland Township is a total loss following a fire early Thursday morning. 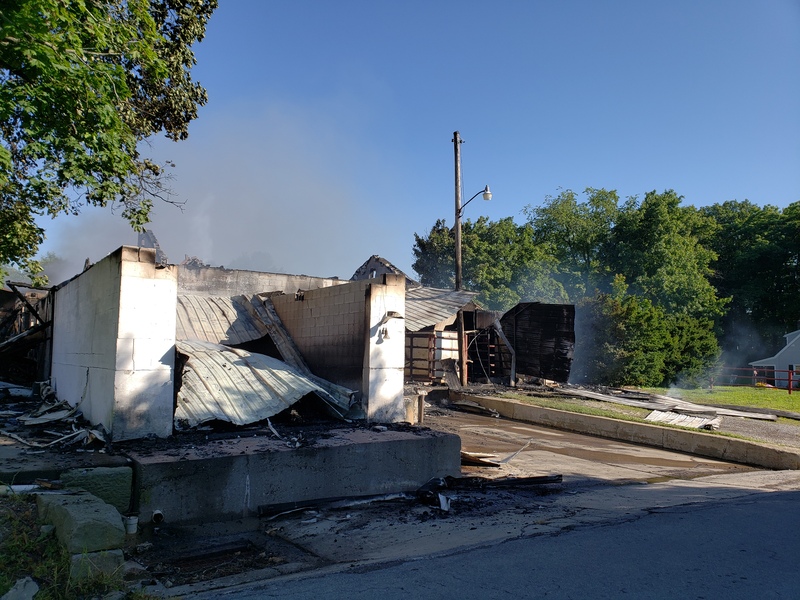 The structure was still smoldering as of late Thursday morning. 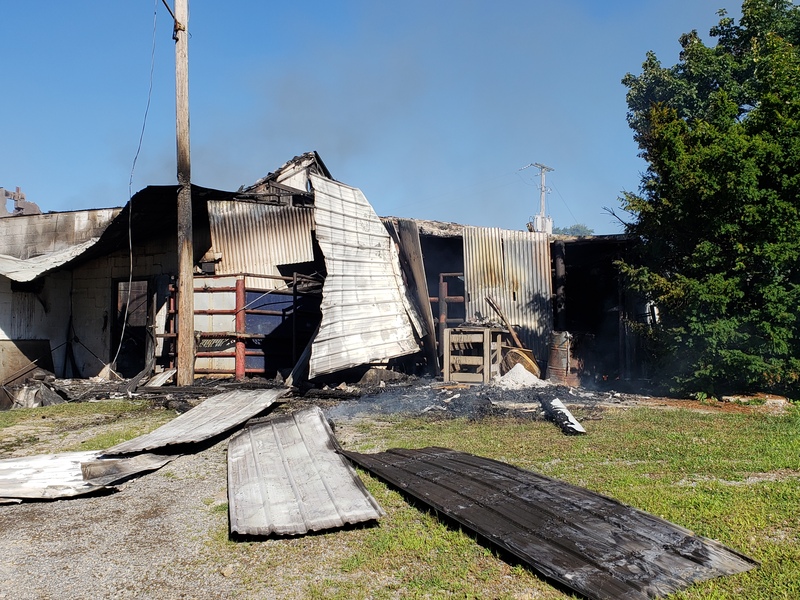 Multiple fire departments from Clarion and Venango Counties responded to a working structure fire on Camp Coffman Road near the intersection of Routes 322 and Route 338 in Ashland Township, Clarion County. 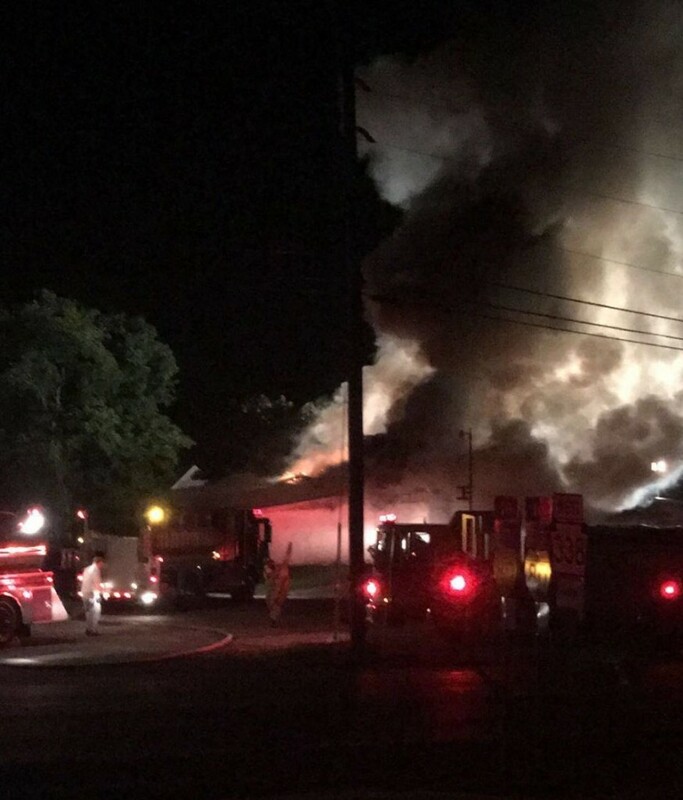 According to Clarion County 9-1-1, the call came in at 1:40 a.m. for a fully engulfed fire on Camp Coffman Road at Hirsch’s Meat Market’s slaughterhouse. 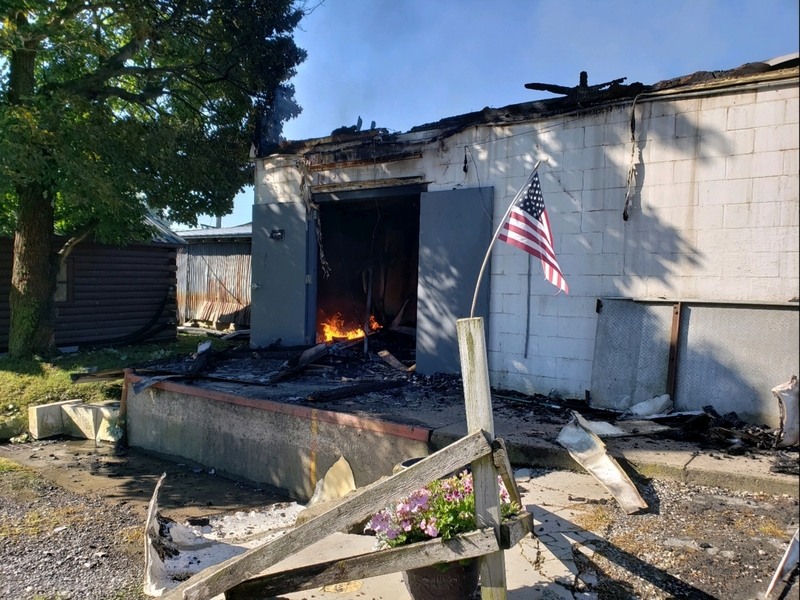 The following fire companies were called to the scene. 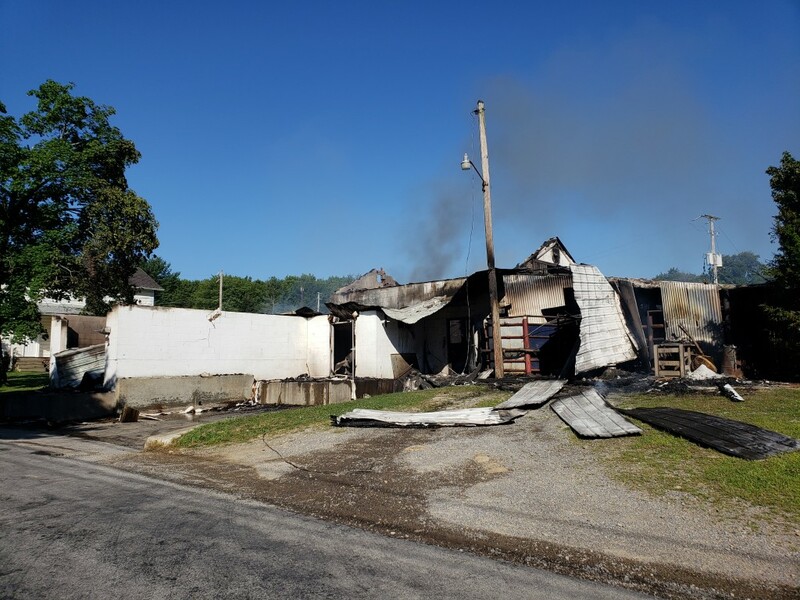 Knox Ambulance Service was also dispatched; however, no injuries were reported. 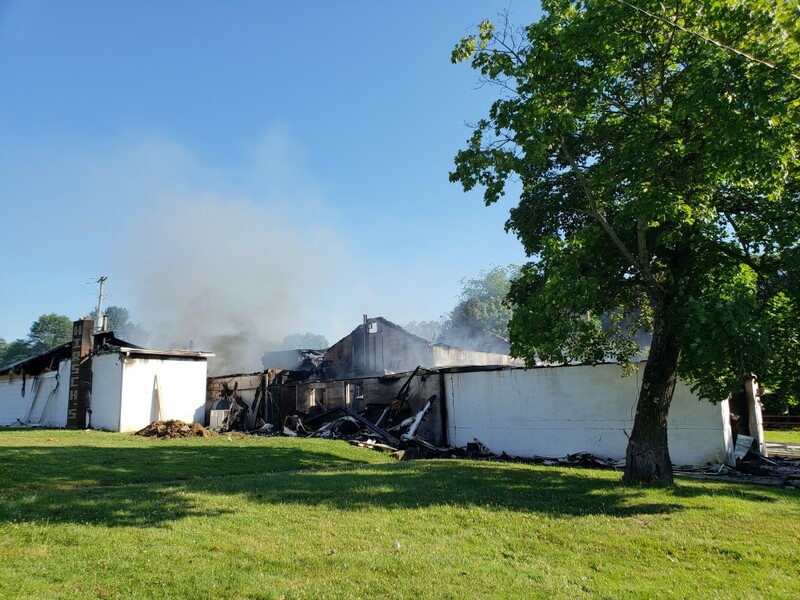 According to Clarion County 9-1-1, the slaughterhouse collapsed and “fell into itself,” allowing the fire companies to leave the scene; however, volunteer firefighters are monitoring the situation, and an excavator will be brought in later today. Hirsch said no workers or animals were in the building at the time of the fire. An employee of the business said they do house animals in the building, but workers had already slaughtered all of the animals for the week. “So far we don’t know much except we don’t have a building,” Hirsch said. The structure itself was a part of the original Hirsch’s Meat Market business, built in 1953 when the business first opened. 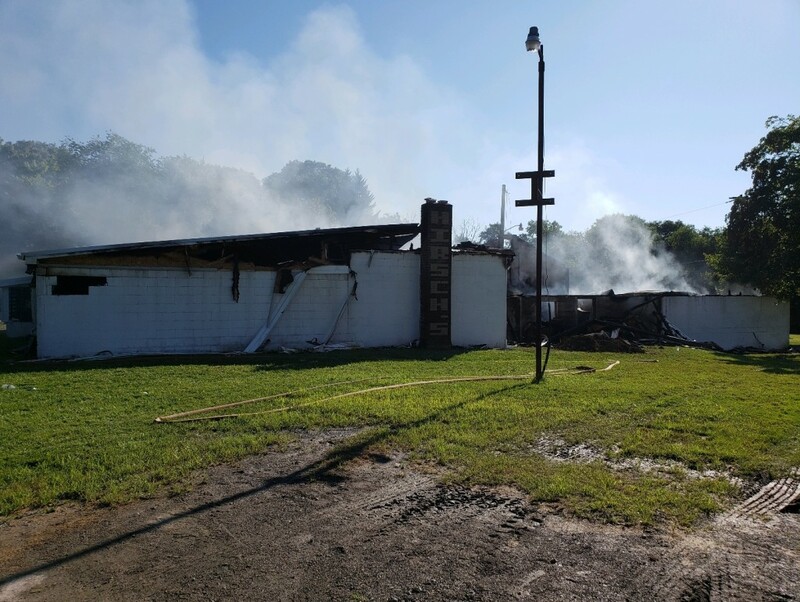 The adjacent store building did not sustain any damage. 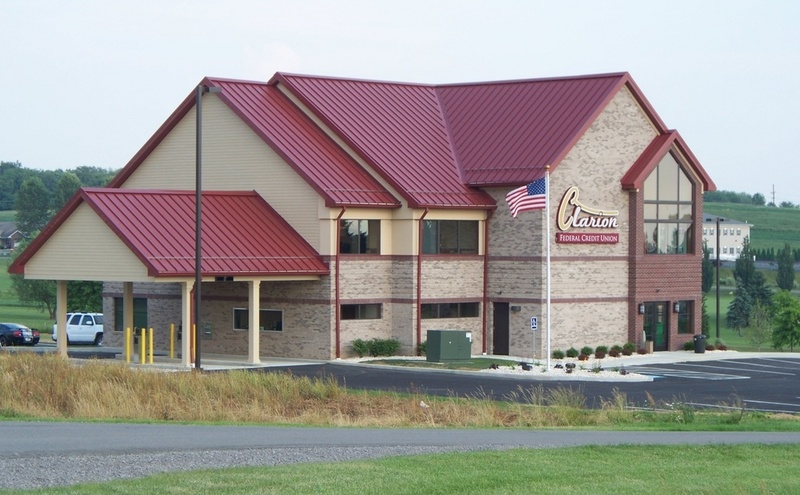 Clarion County 9-1-1 is aware that the fire at Hirsch’s Meat Market’s slaughterhouse is still smoldering and asks the public to please refrain from calling 9-1-1 to report the fire. Stay with exploreClarion.com for more information on this story.